The book was first published in 1975, just after my wife, Brenda, had given birth to our fifth child. Being a parent has been one of my most fulfilling and challenging experiences. I held an ideal of being clean and healthy as a parent, and wanted to write about some of the things Brenda and I learned. The book is a bit journalistic, and in today’s market somewhat dated, but it is still sought after by many. Even so it was the forerunner for books dealing with the subject – as with many of the books I have written. 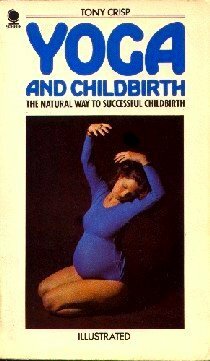 Seeing the popularity of Relax With Yoga Thorsons were immediately interested in my proposal for a book on yoga and childbirth. At that time I don’t think there was anything like it on the market. The book was published in 1975 and was later published in paperback form by Sphere under the same title. One of my main drives to write the book was to present the ideas surrounding the philosophy of yoga about birth. Namely the belief that the personality already exists from previous lifetimes and seeks parents of a particular nature to fulfill its needs in its incarnation. My wife Brenda and I had great ideals about being fit parents for children, trying to keep clean in the sense of no drugs such as tea, coffee, alcohol or nicotine. Looking back we certainly lacked qualities that were perhaps more important than the avoidance of tea, but we were doing our best. Unfortunately Thorsons did not want to publish the last chapter of the book and so cut it out. That chapter dealt directly with the concept surrounding yoga. A further misfortune is that the chapter was never sent back to me, so I have lost it. Dive in – you can easily get out again.